These growing companies released significant product updates at Inbound 17 to make your inbound marketing even more effective. Big news from the Inbound 17 conference: HubSpot is doubling down on their platform in order to make it easier for other digital services to integrate. In his keynote address, HubSpot CEO Brian Halligan shared two major developments that will guide the future of HubSpot in 2018 and beyond. First, HubSpot will be releasing a new customer success tool in 2018, appropriately named Customer Hub. This will make it easier for HubSpot to track data throughout the customer lifecycle and assist account management teams in retaining customers. While they aren’t being specific about what features it’ll have, it seems like we should expect a knowledge center and a ticketing system similar to systems like HelpScout and Zendesk. Second, HubSpot is investing in their platform ecosystem to make it even easier for inbound marketers to adopt tools that supercharge their marketing, sales and services results. They formally announced the hiring of Scott Brinker, the editor of ChiefMarTec, to become the new VP of Platform Ecosystem. And, they doubled the membership of the HubSpot Connect program, which helps other software companies integrate with HubSpot. The HubSpot Connect program is full of best-in-class and innovative software vendors that can make your inbound results zoom. Early adopters seek out these new services in order to get ahead of the rest of the inbound marketing world. Many even have agency partner programs to help agencies use their services on behalf of clients. What It Does: Seventh Sense allow you to send your emails at the perfect time for each individual member on your list. It mines data from HubSpot or Marketo and discovers the specific times that contacts like to open emails. Then, instead of forcing you to choose one time to send to your whole list, it allows you to select a range, and then it determines the best time to send to each individual list member. New Product Announcements: Seventh Sense announced its Email Fatigue Optimization product. This will automatically determine how often you should be sending to each member of your list, and help you adjust accordingly. Some list members want to hear from your brand, just not as frequently as you are currently sending emails. How It Helps: List fatigue is a major reason that list members eventually unsubscribe. Sometimes, they are just exhausted from too many emails. This will automatically ensure that you send fewer emails to these subscribers and maintain their interest. What It Does: That’s us! Databox helps inbound marketers track all their data from 50+ services in real-time. Instead of the vicious cycle of copy/pasting into spreadsheets and Powerpoints, Databox pulls data into automated dashboards every hour so that you always have the latest data. And, it works on desktop, TV, mobile and Slack so you can review your data anywhere, anytime. New Product Announcements: We announced our Insights feature, which will bring all the latest news from your sales and marketing data into one screen in the product. Instead of flipping between dashboards and scanning for the latest trends in our mobile app, you now have instant updates that come straight to you. You can focus your efforts on the areas with the greatest need and celebrate the wins as they happen. How It Helps: There are three main use cases. Warnings: Our automated alerts will make it obvious when one of your marketing metrics is sinking unexpectedly. Good news: When you hit your monthly goal, you will get a notification that you can share with a boss or client. Efficient meetings: Rather than have your whole team show up to the meeting and review the data for the first time, you can allow team members to review data and exchange notes before the meeting. Everyone can bring suggested actions by the time the meeting starts. What It Does: Vidyard is an easy video hosting tool that gives marketers the analytics they need to make data-driven decisions. It creates an easy viewing experience for B2B topics, and provides a more professional presentation than Youtube. New Product Announcements: Vidyard used to have a product called Viewedit, a Chrome Extension that allowed anyone to quickly record and distribute video in the browser. They have upgraded Viewedit into a new tool called GoVideo. GoVideo now allows anybody to quickly edit and share their recorded videos. It also directly integrates with 10 other common sales and marketing tools so that those tools can utilize self-recorded video. How It Helps: This will make video fit seamlessly into the daily tasks of a salesperson or marketer. Previously, team members would need a video editing tool or the patience to download/upload video in order to share professional video. Now, they can do it all themselves and instantly begin distribution. What It Does: Pandadoc makes it much easier for sales and HR teams to manage all their documents and signatures. Rather than forcing you to continuously crank out new proposals and follow up, Pandadoc integrates with popular sales tools in order to automate the painful parts of drafting documents and tracking them. New Product Announcements: PandaDoc announced its first mobile app for both iOS and Android. Since many salespeople do their work away from a computer, the PandaDoc mobile app is a perfect way to stay on top of deals. How It Helps: The mobile app has two major use cases. Monitoring: You can track each of your deals in progress and see if potential customers have been interacting. Moving deals forward: If the potential customer has fulfilled their end of the bargain, you don’t want the deal to wait on you! You can approve any documents that are waiting on you with the app. What It Does: Drift is a live chat interface for marketing and sales teams. 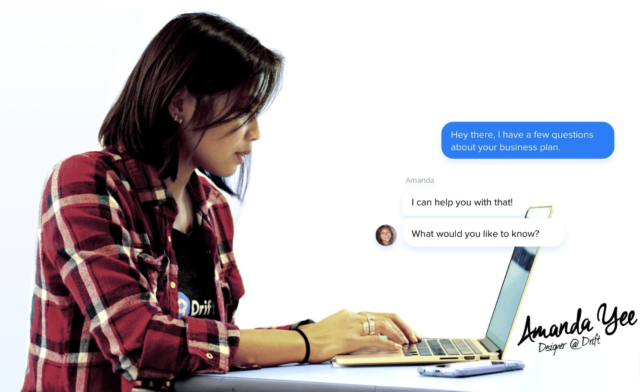 Rather than giving your site visitors the crappy experience of filling out a form, Drift allows your team to chat in real-time with site visitors. They also use bots to help with the process so your salespeople can spend their time with pre-qualified candidates. 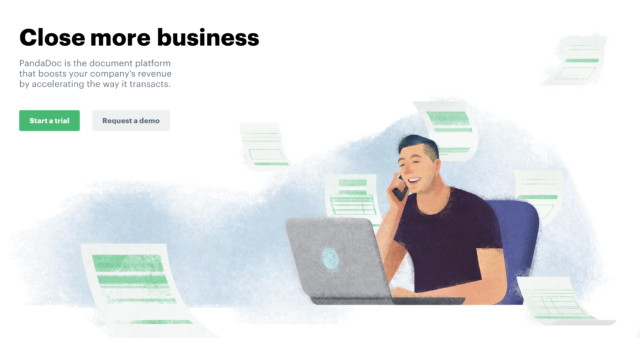 New Product Announcements: Drift announced a new feature called Email, which will complement your existing outbound emails. Rather than sending prospects a note and hoping they understand the website, Drift automatically opens a chat with the salesperson when a prospect clicks a link to visit the site. How It Helps: Salespeople are usually in the dark about the ways that prospects use the website. They have to wait for the prospect to fill out a form, or return to the email and answer the message. This allows them to be helpful in real-time. What It Does: RivalIQ is a social analytics tool that helps you discover content that is popular with your following. They help big brands analyze both their own following and their competitor’s following and then making smarter decisions in the future with their social media presence. New Product Announcements: RivalIQ announced their new integration with HubSpot to help inbound marketers with social media. They also offered free subscriptions for life during INBOUND. How It Helps: Now, inbound marketers will be able to use the same powerful social media analytics as the big brands. What It Does: Sigstr is the first email signature marketing company. Every time one of your employees corresponds with someone at another company, you have valuable real estate to broadcast the latest initiatives from your company. Sigstr creates dynamic email signatures with varied call-to-actions based on the type of email you send. New Product Announcements: Sigstr announced an expanded integration with HubSpot that will make it easier to use dynamic email signatures in every part of marketing automation. HubSpot customers can now seamlessly connect Sigstr to HubSpot workflows, smart lists, landing pages and email marketing templates. How It Helps: HubSpot is already an excellent tool for serving dynamic content to the right prospects. Now, email signatures will also be dynamic. HubSpot still wants to be the best tool for executing inbound marketing campaigns. But, they recognize the possibilities that open up when they integrate with tools for each part of the process. As inbound has become a more popular form of marketing (and arguably a bit harder to see results from), their software partnership program is designed to create as many options as possible for their customers to set their campaigns apart from all the others in their industry. If you would like to learn more about getting the most out of HubSpot, you should check out our guide to top HubSpot features or our guide to top HubSpot integrations.